Now, this was one amazing wedding! 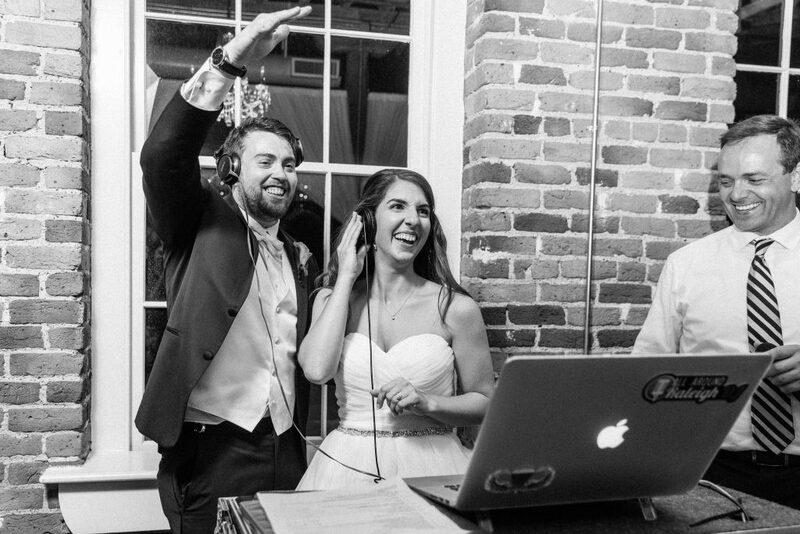 Katy & Zach’s Mom contacting us about two months prior to the wedding because they were having troubles with the DJ they had contracted with originally. 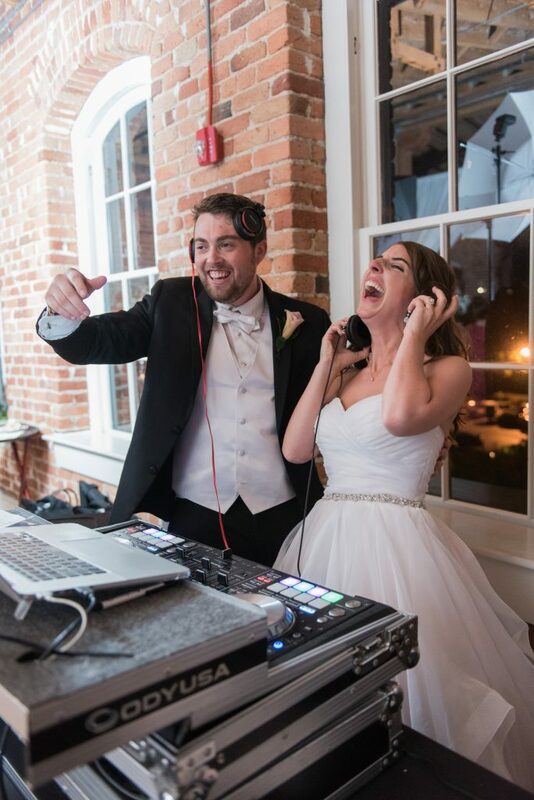 Luckily, we had the date available and DJ Eric took charge and got to DJ for this amazing couple and all of their family and friends. 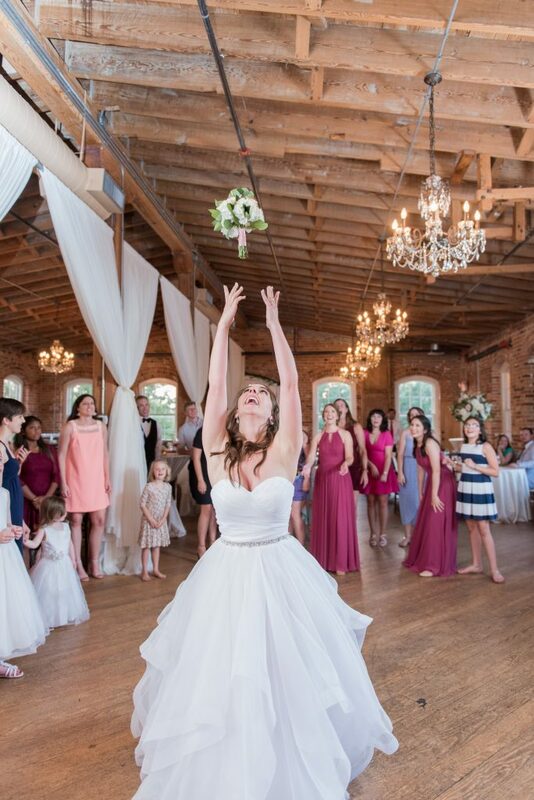 Melrose Knitting Mill is one of the area’s premier wedding venue. 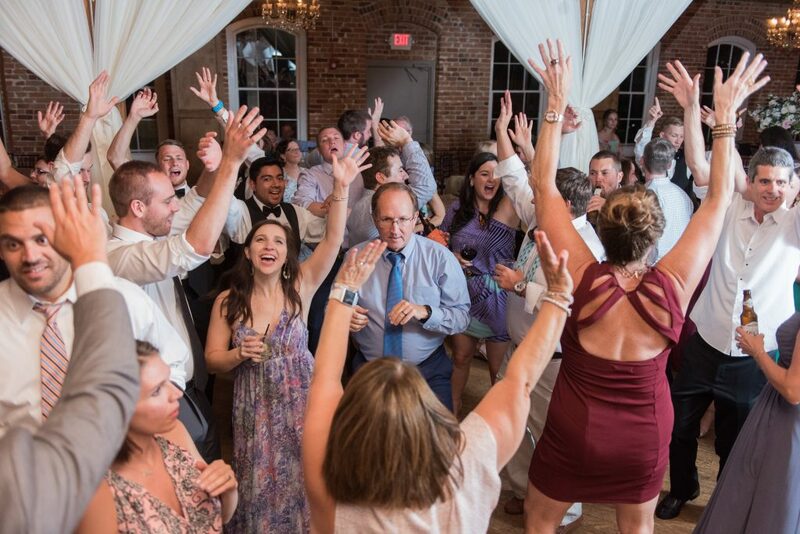 Not only is it gorgeous but the amazing coordinators with Southern Oak Events really helped make the day smooth for us and fun for the clients. 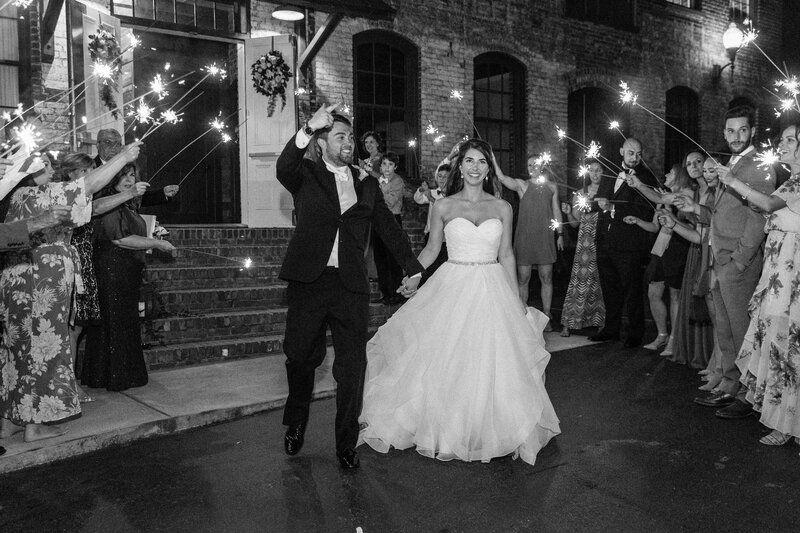 Zach & Katy made it known from step one that ‘the party’ part of their wedding was incredibly important. 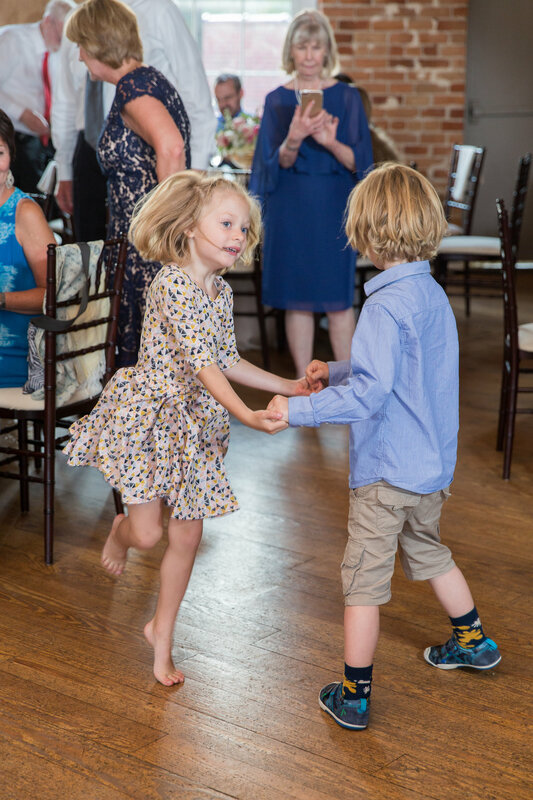 They wanted as much time on the dance floor as possible so we took care of all of the formalities early in the schedule so we could pack the dance floor for a few hours of nonstop dancing. 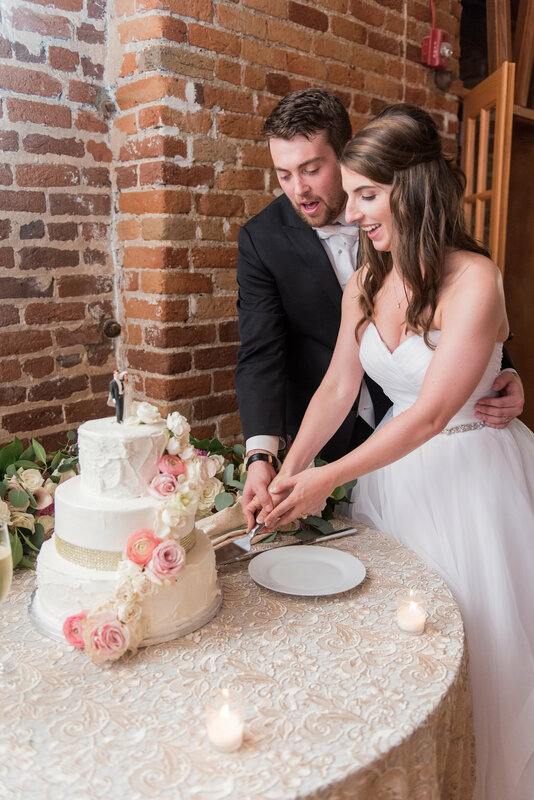 We were incredibly lucky to work with Melissa Desjardins Photography who was unbelievably fun and easy to work with and also provided us with her incredibly good photos. 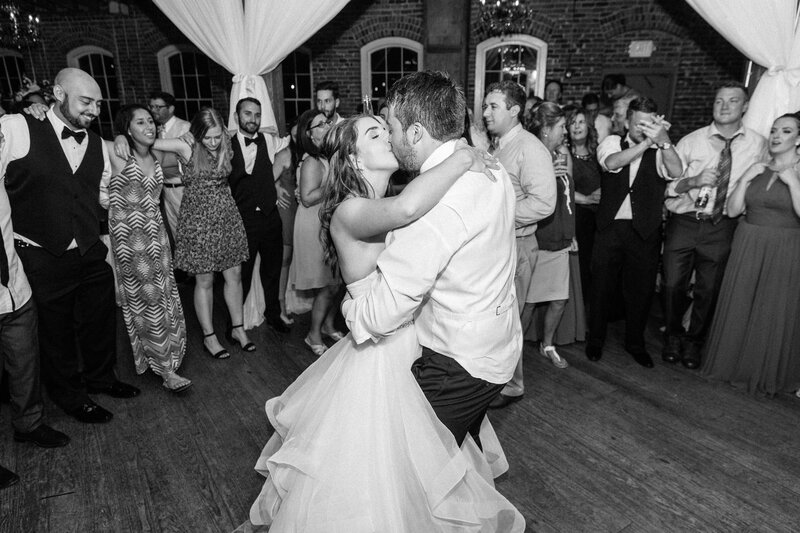 In fact, she took so many great shots that we had to splurge and post much more than usual. 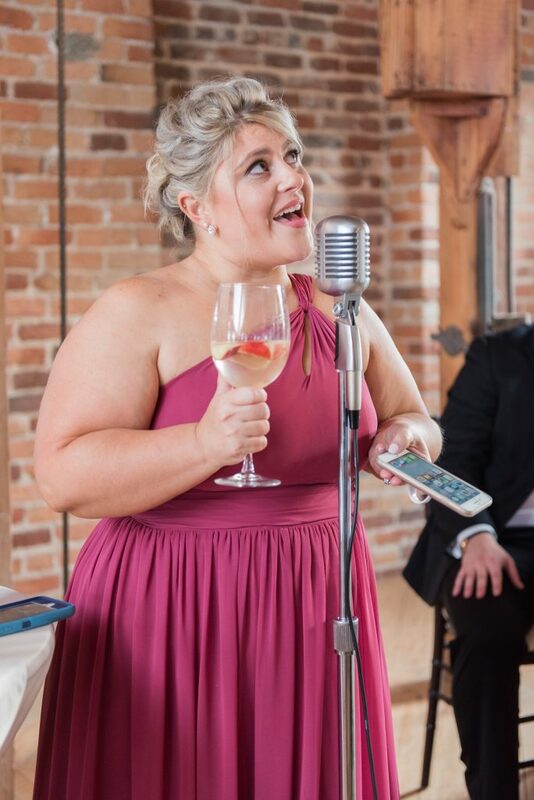 Make sure you check out her work below! 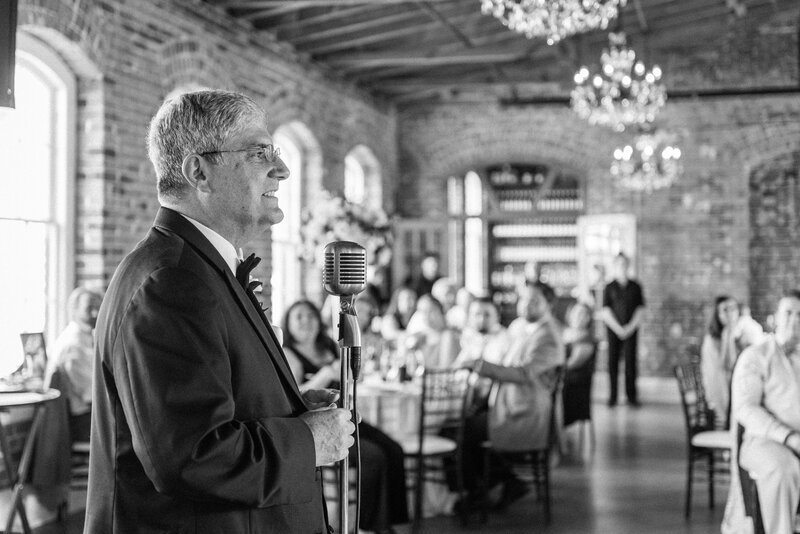 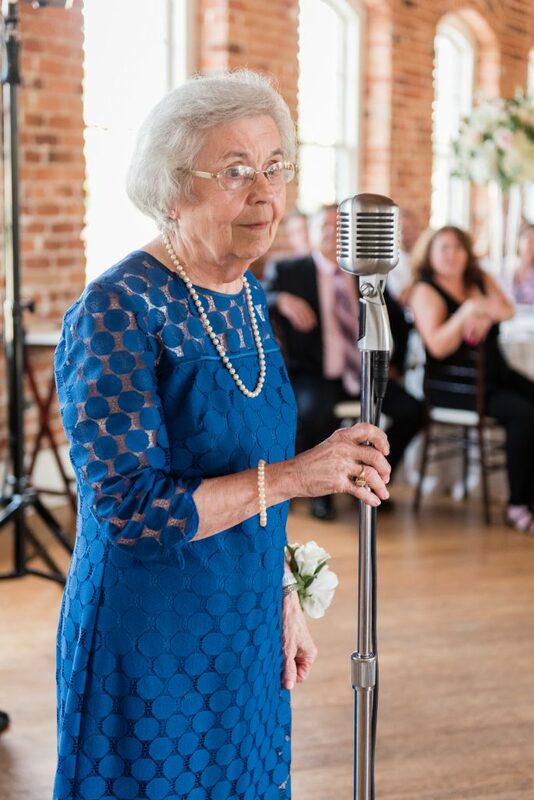 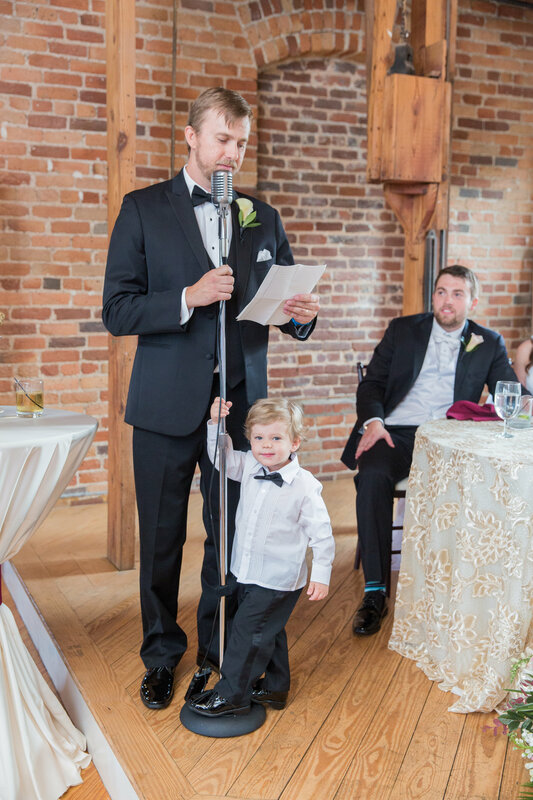 Our vintage mic looks great in any venue but it looked particularly great at Katy & Zach’s wedding. Thank you and congratulations to the newlyweds! 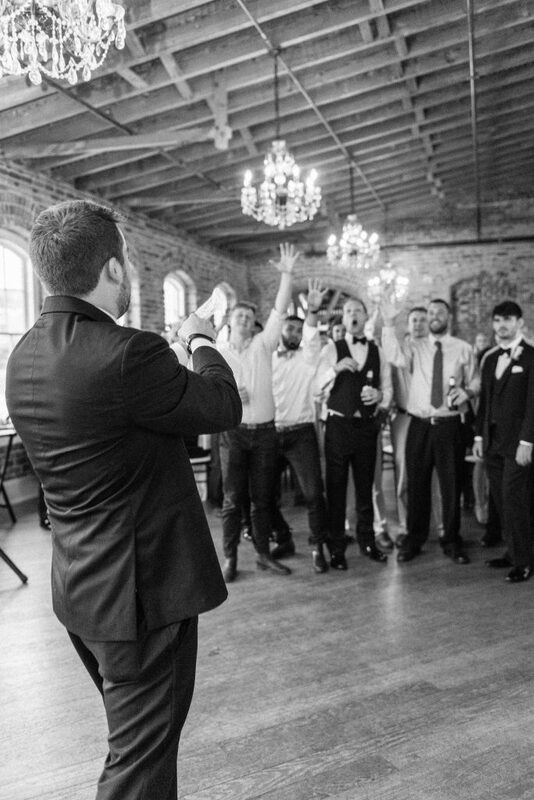 Check out Katy & Zach’s Wedding Vendor Team! 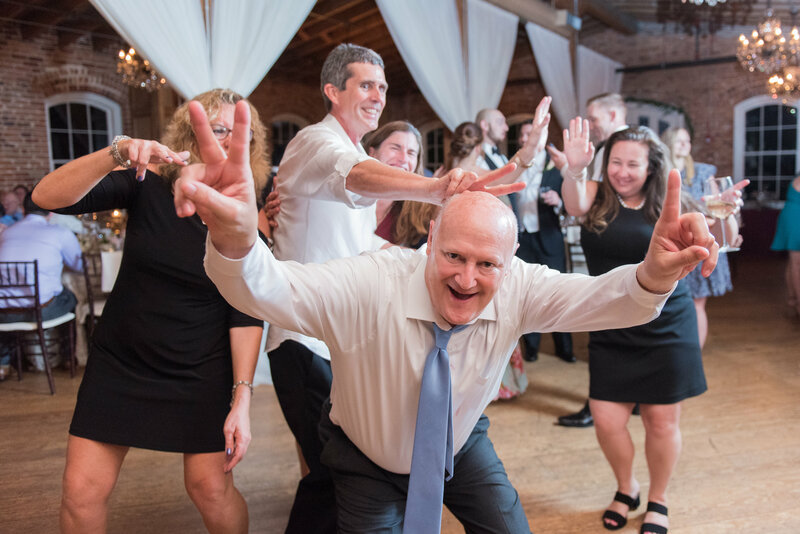 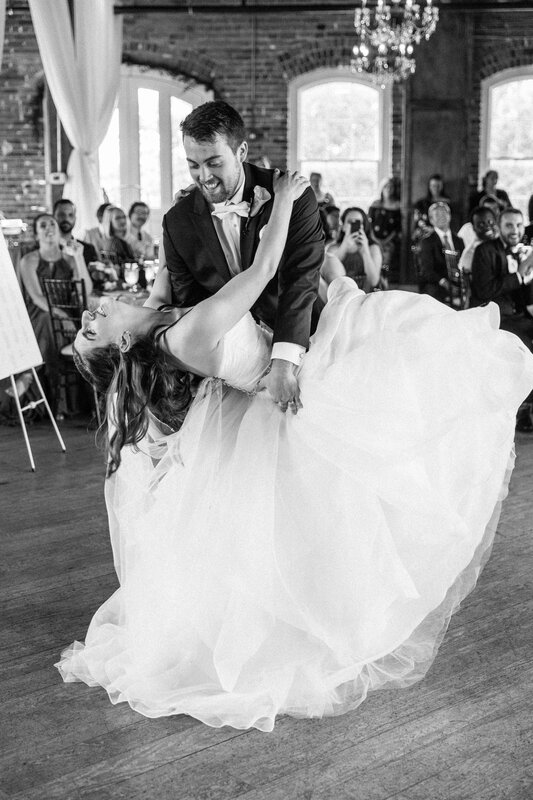 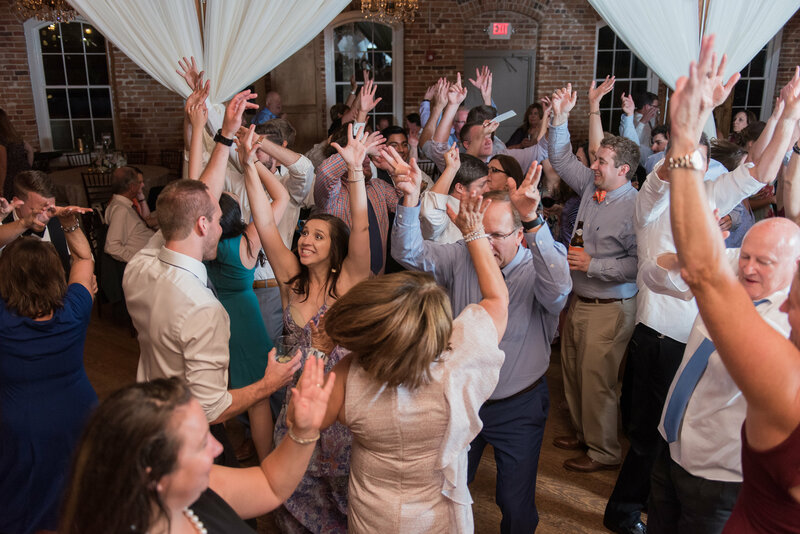 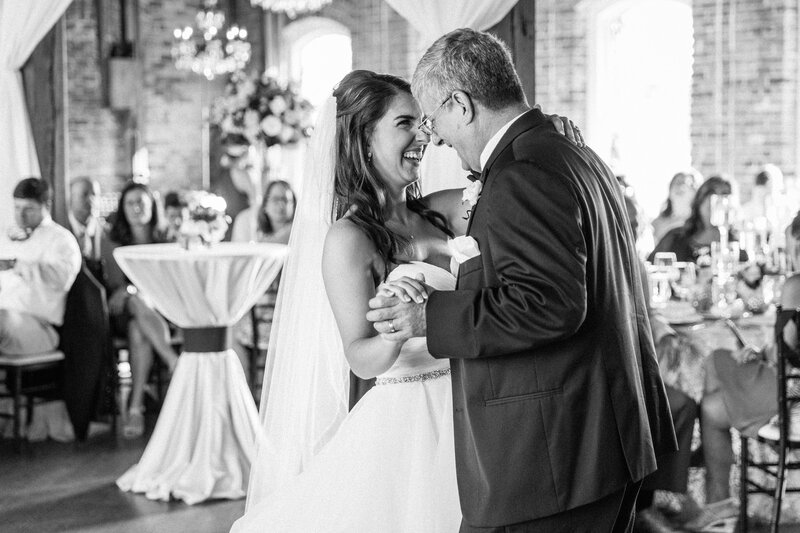 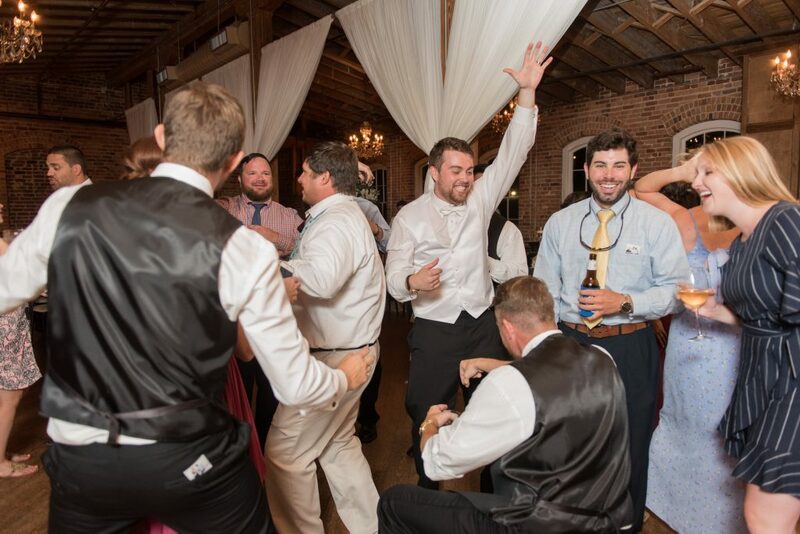 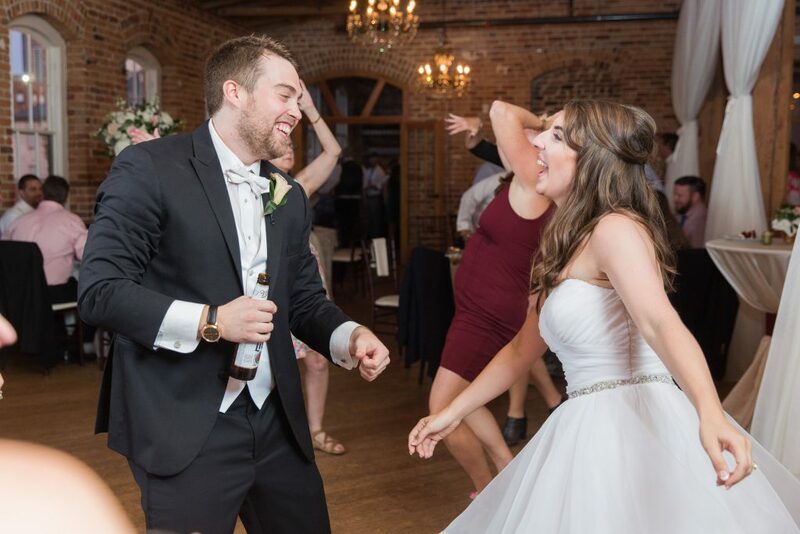 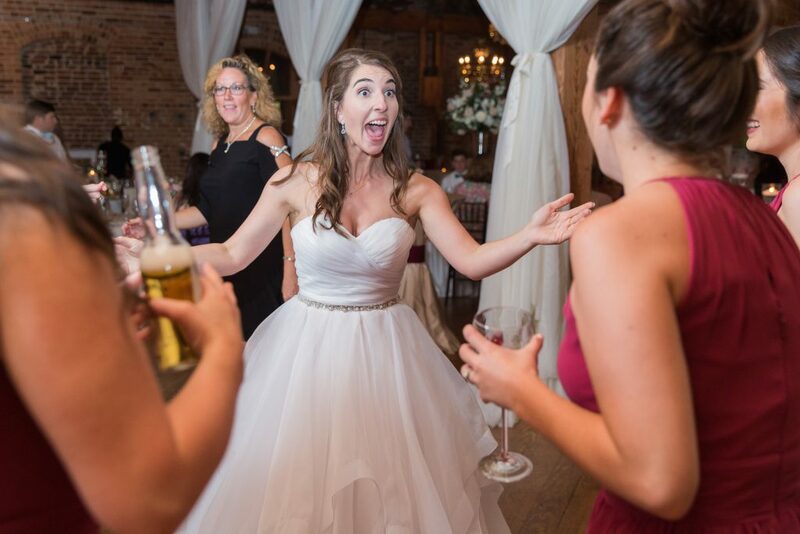 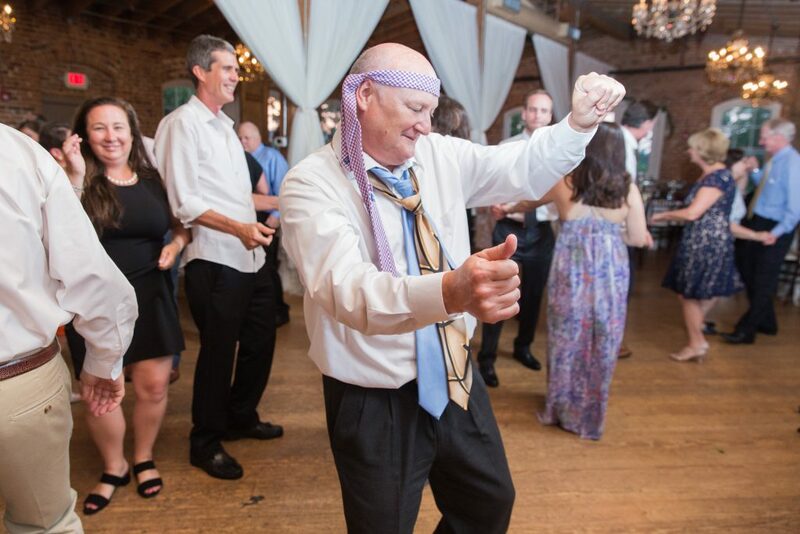 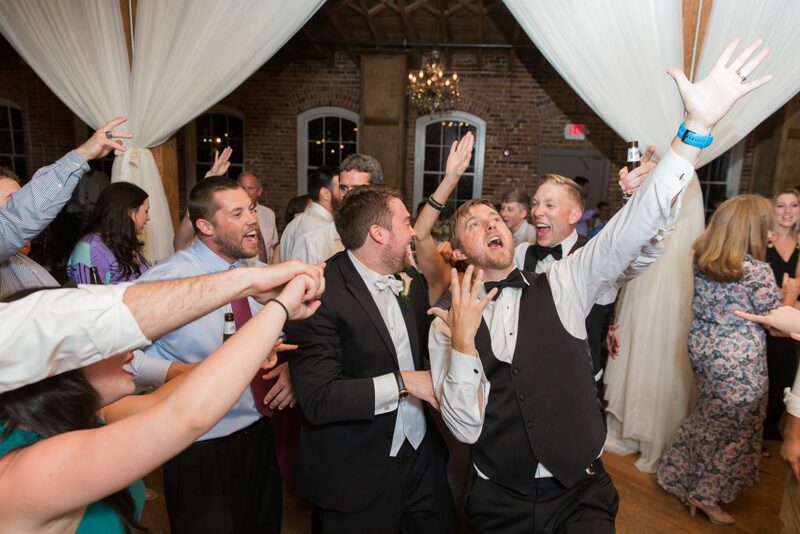 All Around Raleigh DJ, downtown raleigh wedding, Melrose Knitting Mill, Melrose Knitting Mill Wedding, Melrose Knitting Mill Wedding DJ, Raleigh DJ Company for Wedding, Raleigh Wedding DJ, You're gonna need a bigger dance floor!